MULTISTAR 376 is dedicated to work on High Power Tractors, Combine harvesters, Big Wagons and Spreaders. MULTISTAR 376 is dedicated to work on High Power Tractors, Combine harvesters, Big Wagons and Spreaders. Specific tread pattern and tire construction enables wide multipurpose applications. Tread pattern with moderate non skid depth, and slightly round shoulders enables comfortable and smooth run on hard surfaces, as well as high traction and good self cleaning in the fields. 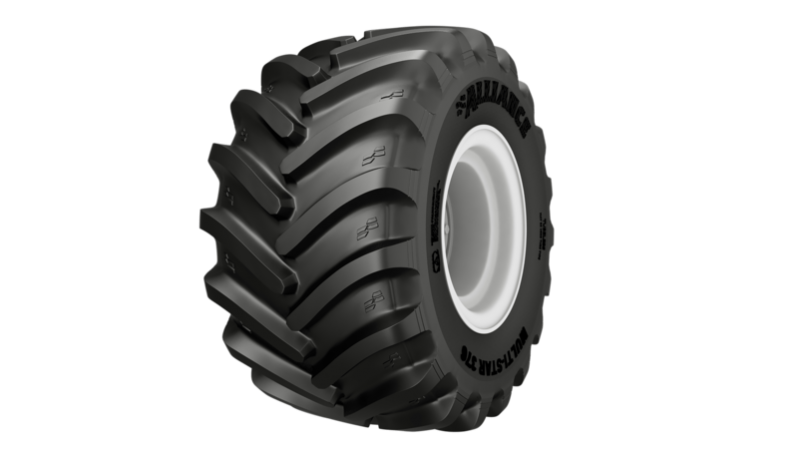 Strong casing reinforced by steel belts guarantee stable tire dimensions, high puncture protection and huge tire to soil contact area. Long tread life is provided by special Stubble Guard rubber compound, and durable sidewall compound.